Public services and safety will be carefully managed though data, while devices in our homes will talk to each other and the wider world as part of the "internet-of-things". Many of these services will be delivered over what is called 5G. It will be much more than just faster data on our phones, but potentially transformational for our lives - if you believe the hype. That question risks causing a major divide in the Five Eyes - the intelligence alliance between the US, UK, Canada, Australia and New Zealand. "Chinese company relationships with the Chinese government aren't like private sector company relationships with governments in the West." But Australia and New Zealand have sounded negative about Huawei's involvement in their 5G networks to varying degrees, and Canada is still deciding. In a speech in Brussels on Wednesday, Ciaran Martin, chief executive of the UK's National Cyber Security Centre, set out the framework for considering the security of 5G based on its experience so far of working with the company. 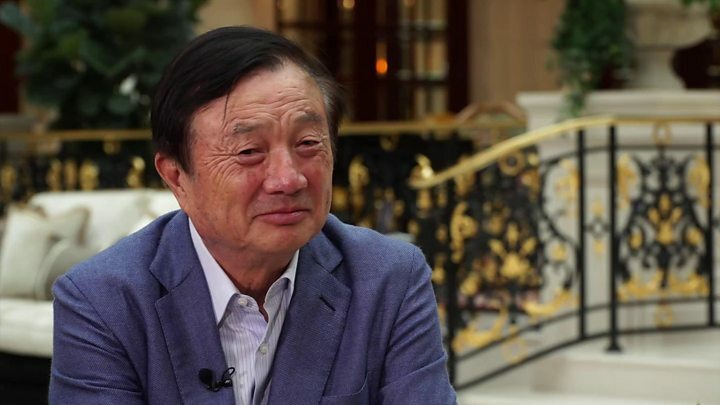 The current oversight regime was "arguably the toughest and most rigorous" in the world for Huawei, he said. 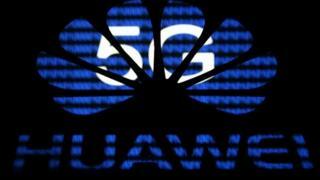 His officials say they have found ''poor security and engineering" by the company, but the indications are still that the UK may work with Huawei on 5G. UK is "vulnerable to Chinese interference"
Huawei risk "can be managed"
If that is the decision then other countries - not only in the Five Eyes but also the EU and Nato - may well be tempted to follow, using the UK as a reference point because of its track record of scrutiny. There could be consequences, former officials warn. Image caption Ciaran Martin said the UK would "not compromise on the improvements we need to see from Huawei"
"Worries about the security of UK networks following their exposure to Huawei may make the Five Eyes partners, and perhaps others such as France, Germany or Japan, less inclined to co-operate with the UK in the future," Charles Parton, a former British diplomat, argues in a new paper for the think tank Rusi. "The maintenance of a 'Five Eyes standard' of cyber-security in telecommunications is a vital strategic and security interest, the loss of which would go far beyond a reduction in intelligence reports exchanged, and might lead to the UK being excluded from work on developing future technologies for intelligence collection." The UK's special relationship with Huawei came about in the early 2000s, when BT was upgrading its networks and the Chinese firm came in much cheaper than the alternatives - by hundreds of millions of pounds. BT told the government it planned to use the company unless the government was willing to compensate it. Even though Huawei was kept out of the core of the network and sensitive systems, concerns over security and the growing use of Huawei by other companies led - a few years later - to the creation of a "cell" to evaluate the security of Huawei products coming into the UK. The cell's last oversight report downgraded the assurance about mitigating the risks associated with Huawei, because of serious problems with security and engineering processes. The company says it will invest money to deal with these concerns in the coming years, although UK officials say that so far they have not seen "a credible plan". "Resilience is key," Mr Martin said in Brussels. "There must be sustainable diversity in the supplier market." But critics fear that Huawei - possibly with Chinese state backing - is working its way into a dominant position in the long term, particularly by penetrating markets in the developing world and by setting standards for 5G. In many countries, telecoms companies paid much more for the 5G spectrum than they had expected. They are now looking at the sums and indicating their strong preference for the cheapest vendor - Huawei. But the question will be how the US and the Trump administration reacts if the UK does not follow its line - especially if other countries use the UK as cover to follow and work with Huawei. This at a time when the UK may be looking for a post-Brexit trade deal with Washington.